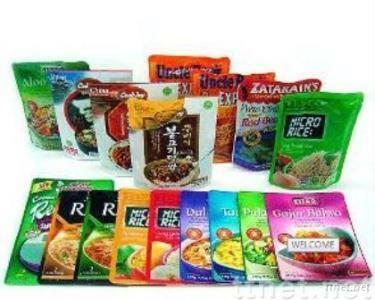 Porridge, Soups, Curry, Sauce, Rice, Vegetables, Fruits, Seafoods, and Others? / Shelf-Life & Suitable Material Composition - Less than 1 Year : Kindly note that shelf-life & suitable material composition are depending on product?s weight or processing condition. /Features Customer can check the product?s condition (shape, color, ingredients?) for safety through the transparent material or window and makes warm easily in the microwave oven. To give high barrier property, the ALOx vacuum coated film or SiOx vacuum coated film are using for the retortable pouches. Also, this pouch can apply to the metal detector.